Collin MacD, sounds like a little bit of spice-it -up tasty! Yeah typo!!! thanks 🙂 should be 0.25 oz. 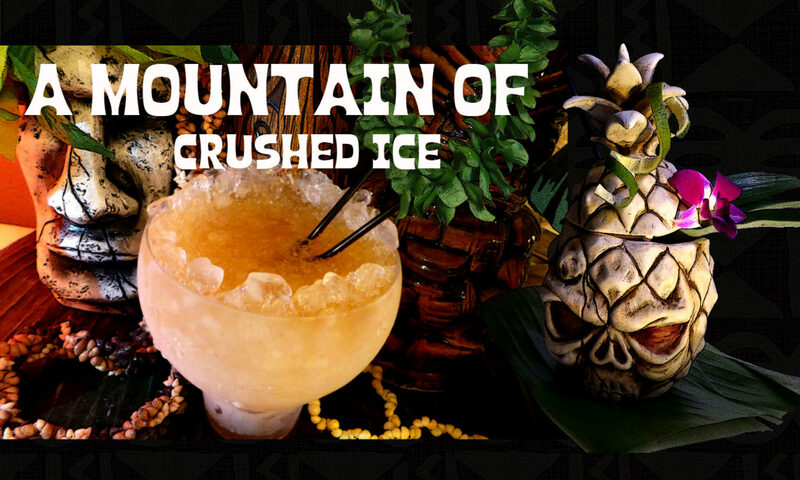 Hi MrCase, yeah it´s my rant anyway 🙂 just wanted in that post to set the Trader Vic`s recipe straight as the classic Mai Tai from all other versions with pineapple juice, amaretto and what not since the drink has been so bastardized and that still call themselves “Mai Tai”. My point is not that you cannot make versions, of course you can but that the versions should add something more to the name, for example “Hawaiian Mai Tai” or “Bitter mai Tai” etc. 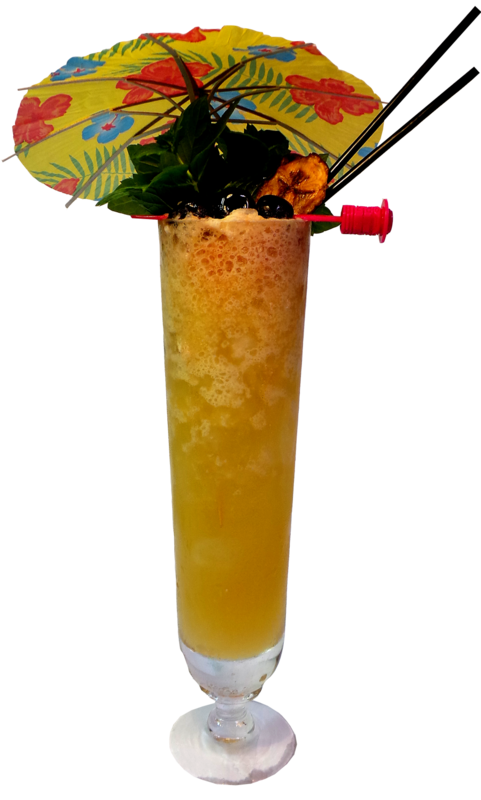 Don`s version which in Jeff Berry`s Tiki app is called Mai Tai Swizzle, says 1 oz (30 ml) of gold Cuban rum and 1.5 oz (45 ml) dark Jamaican rum.That recipe is the original drink by Donn Beach probably dating back to 1950s. The recipe is originally from the book “Hawaii Tropical Drinks and Cuisine by Don the Beachcomber”by Phoebe Beach and Arnold Bitner. The text in the app further states that the popularity of Trader Vic`s forced the Beachcomber to put a Mai Tai on the menu (which did not offer one until several years after Vic`s did) But that on the other hand his widow Phoebe Beach told them that he invented the Mai Tai swizzle in 1933 but that “it” was not one of his favorites. Okay. So this is called a rant…? For Don’s version, should it not be 4,5 cl (f*** non metric systems) of Navy Style rum and 3 cl of gold Cuban rum? And if so, in what strength the Navy style rum? 68%? Trader Vics is the best, as long as the lime is 1oz. The somewhat new Denizen Merchant’s Reserve rum is a blend of Jamican andMartinique (molasses not agricole) rums and lends itself perfectly to a Mai-Tai. I like my drinks to be rum forward so I sometimes cut the Denizen from 2oz to 1.5 and add Smith and Cross or a Demerara. If I’m really looking to amp it up I might add .5oz of Hamilton’s Overproof Demerara as the kicker. Love your blogs!! So sick of people putting pineapple juice into a bunch of rum and calling it a Mai Tai. Just had a “Mai Tai” at The Beach House in Kauai and was sorely disappointed in it. Again, one of those rum punch pineapple juice things that people call a Mai Tai. Never found a decent one on Maui and so far have not found one on Kauai. Will try Gaylord’s tomorrow. I heard theirs is the Trader Vic’s recipe. Good thing I can make a great one at home, in case we fail our quest. I had a Brazilian Mai Tai at The Yard House and it was on of the most perfect drinks I’ve ever had (except a well crafted Old Fashion). Soo I am in search of their recipe but will try myself to reproduce that wonderful memorable flavor from htte Yard House. Jack – that sounds just very logic, and especially if it has a very strong almond flavor.. I prefer to make my own or use our good friend Blair`s aka TraderTiki aka B:G Reynolds.. I suspect the orgeat used in your Trader Vic’s Mai Tai is there own brand, since they sell it. I used it for many years until I learned to make my own. A fine rant. I like the Trader Tiki orgeat in the Trader Vic but tend to pull back the lime just a bit if the fruit’s large so I can taste everything. Anybody know what orgeat they use in the Trade Vic’s restaurants Stateside? Delicious Mai Tai (I drank three in Portland) but heavily almond-scented. If using *homemade* orgeat, serious consideration should be given to dropping the sugar syrup in favour of 0.75 oz orgeat. I think the idea of using only 0.5 oz of orgeat comes from bartenders using powerful almond-heavy commercial orgeat syrup. Homemade is so much better and makes a heavenly Mai Tai (particularly with 2 oz of Banks 10 year or El Dorado 12 year). However to get the full flavour slightly more definitely needs to be used. Jill Marie Landis – I hope one day that anything that’s orange with rum and a float of dark rum on top will NOT be called a Mai Tai…that`s why i wrote this post, we need to keep telling people how it should be done in order to make a change.Seems like it cannot be said too often..
paleiko – yes it was a typo of course, thank you! Tiki Chris Pinto – it`s so nice to hear about bars that makes it right! “[i]Don The Beachcomber invented a drink he called the Mai Tai Swizzle in 1933, but it seems to have disappeared from his menu sometime before 1937. 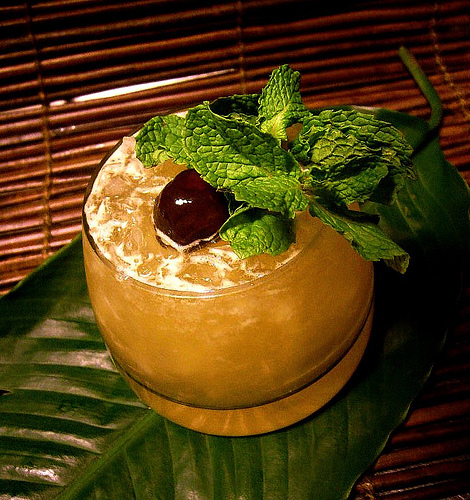 Strong evidence suggests that Trader Vic developed his own Mai Tai, without any knowledge of Donn’s, in 1944. Fine and dandy. A complete reading makes clear that the original (meaning first) Mai Tai was indeed that of Donn Beach in 1933. 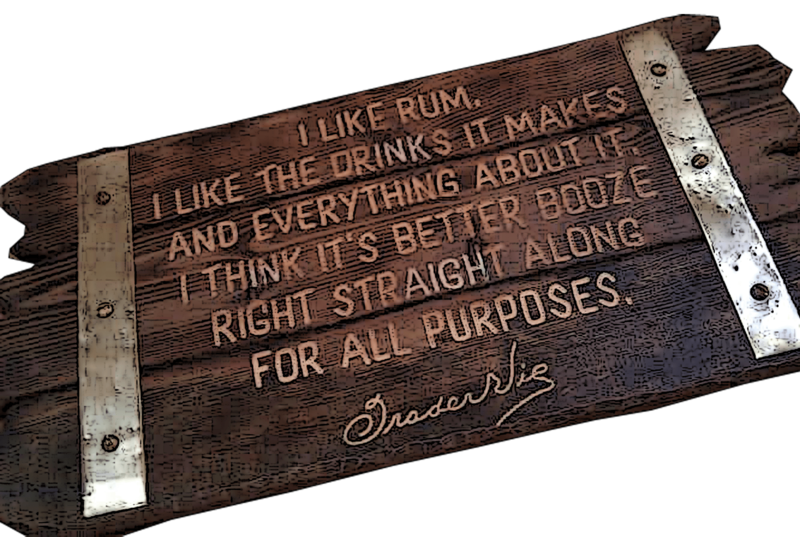 It was not until 11 years later that Trader Vic (who admits he copied Beach’s Tiki style, praised Beach highly, and was aware of Beach’s Mai Tai) modified it to suit his own taste. The fact that Beach removed it from his menu some years before, while Vic kept it on his to this day is likely the main reason why Vic’s modification became the icon. Berry himself makes clear that while Donn Beach invented the Mai Tai, he prefers Vic’s later version as the better recipe. According to Wayne Curtis (“And a Bottle of Rum”) a newspaperman who was having drinks with both Beach and Bergeron around 1970, stated that in this company, Vic admitted that Donn was indeed the inventor of the Mai Tai. You said it all. A Mai Tai isn’t a Mai Tai unless it’s made (as close to) the original way. Too many times I’ve tried ordering one, only to get pineapple juice and Bacardi garnished with a chunk of pineapple. The worst I ever had seemed to be Hawaiian Punch and some cheap rum. The best, however, has been at the Mai Kai in Fort Lauderdale. 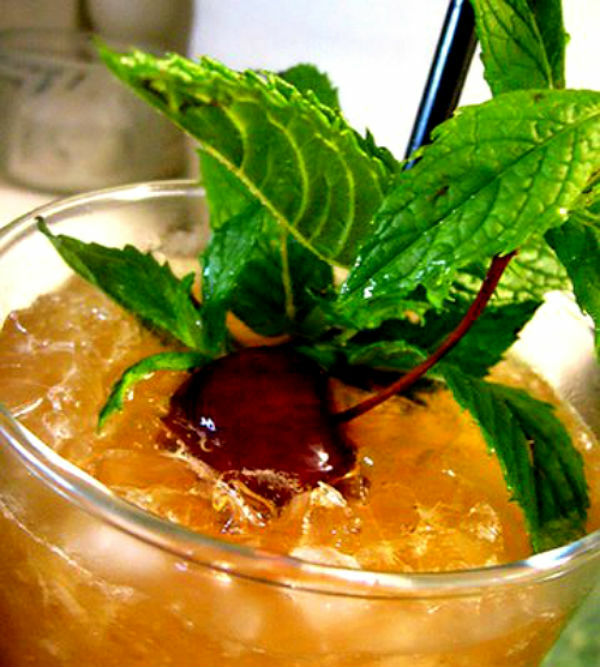 With a perfect balance along with a fresh mint sprig and an orchid as garnish, I think it would be pretty difficult to find a better, more original-tasting Mai Tai anywhere today. Great article buddy…it needed to be said! 0,5 oz Fresh Lime Juice in your Mai-Tai-Receipe (the one with the Smith & Cross) is a litte less, don´t you think? Is this a typo? I think 1 oz to 1,25 oz is more suitable. Thanks for the rant. Around here in Aloha Land folks are apt to call anything that’s orange with rum and a float of dark rum on top a Mai Tai. Someone said they had a great Mai Tai the other night with basil in it. Ouch. I’m with you! The Trader Vic’s Mai Tai is the original and the best. To me pineapple juice, grenadine, and/or orange juice make it a Hawaiian Mai Tai. Those can still be tasty, if made right, but they are not an original Mai Tai. They should have the clarification on the name. 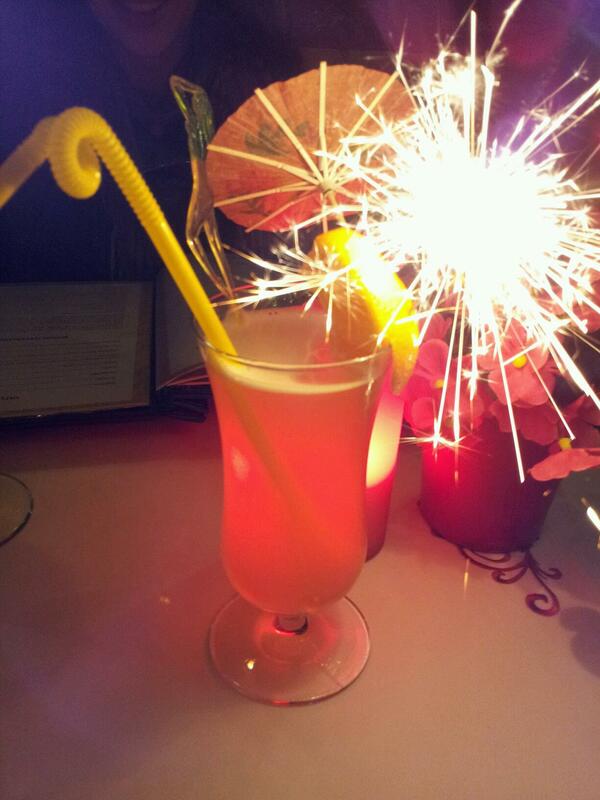 The “Mai Tai” with the fireworks made me laugh. It just goes to show you never know what you are going to get. It is really exciting that quality cocktails are making a come back so hopefully more and more of those concoctions giving the mai tai a bad name will disappear. Great post! Next PostNext MAI TAI TWISTS – let´s have some fun!